2. 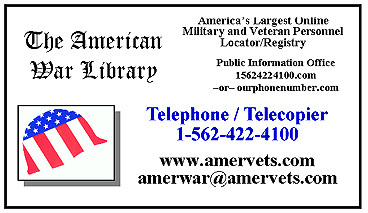 Click the button at the bottom of this completed form to email it to The War Library, along with a copy of your or the veteran's DD-214, NAVPERS 553, NGB 22, or you can Print and mail this form and the required documents to the Library's mailing address below. Would you like to track your package through the United States Post Office after it has been shipped (for seventy-five [.75] cents extra)?